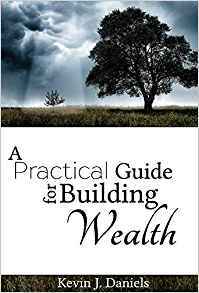 Kevin Daniels, the author of “A Practical Guide For Building Wealth” will speak about this new exciting book. Kevin is the current President of Tribute Financial in Wallingford. Do you desire a more secure financial future without becoming a financial expert? Do you find that time keeps slipping away and you know you need to fund retirement, but are not sure how? Do you feel like there is an overload of financial information, but you just need a simple, practical plan for securing your future? During this evening Kevin will introduce his new book and will point out some highlights of growing wealth. Come and spend an hour to make your financial future brighter! Note: this is NOT a seminar and is NOT promoting any product and is NOT underwritten by any company; this is a community informational evening only.